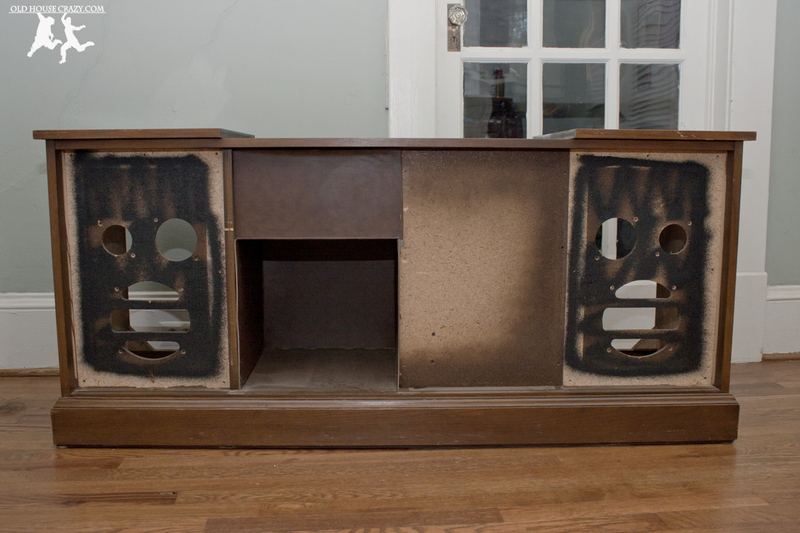 I started moving forward with the stereo console project this weekend. 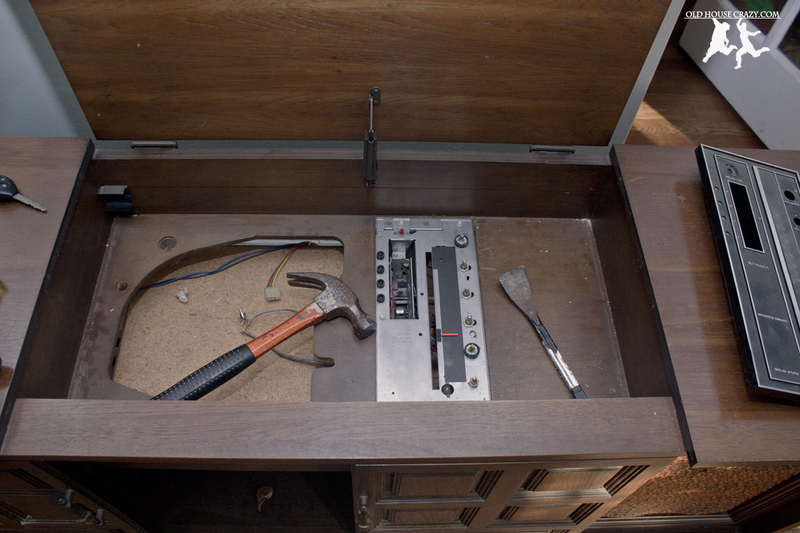 Below, you can see the before picture of the console. It was purchased in 1971 by my parents and is representative of the style of the day. However, it was not very representative of the style of our house, which was built in 1922. Since I really started thinking about this project, I’ve spoken with several folks and we’ve come up with what I think are some really cool ideas. Our neighbor, Dane, is an electrical engineer / pilot who has a good deal of experience with building speakers and home entertainment centers, so many of our ideas have come from him. For example, Dane was the one that suggested I remove the bottom trim board from the console and replace it with a taller one so that we could fit a 10-inch subwoofer into the console. 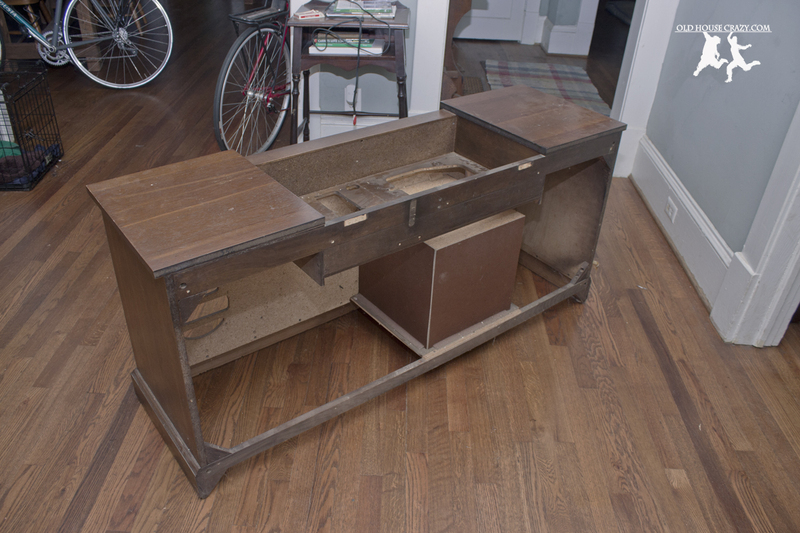 To that, I responded with the idea of adding square feet and different trim to lift the console off of the ground and make it more arts and crafts styled, like the one found in this link. 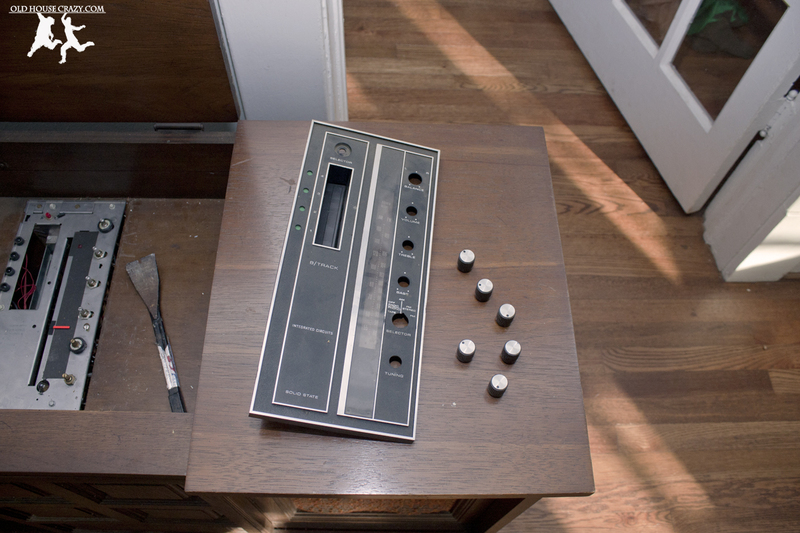 We’ve also talked at length about what we want this stereo console to do. First, it needs to be able to play the radio, so we can listen to NPR on the weekends (yeah, we do that). It also needs to be able to play modern media like digital music files and cds, so we need an auxilary input plug. After much consideration, we also decided that we want to replace the record player with a new one so that we can play vinyl. That’s kind of a wierd decision because we don’t currently own any vinyl. 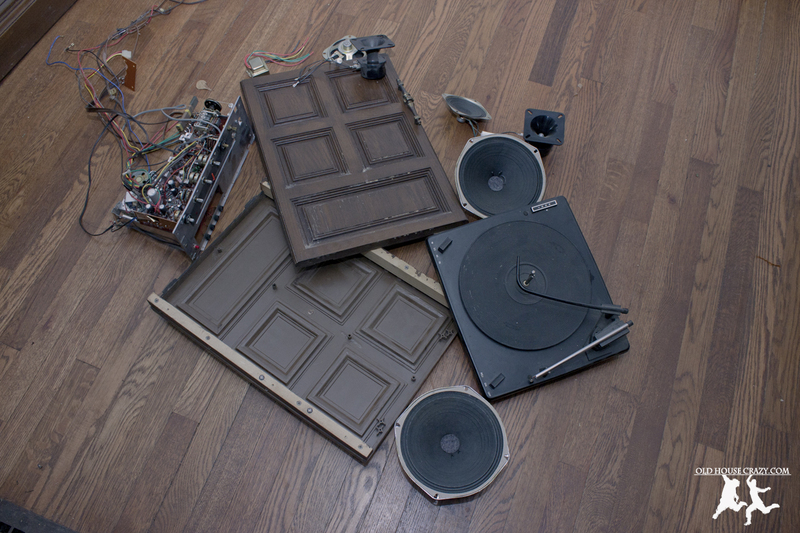 We think it would be cool to own records, so hey, let’s put a record player in there. Makes sense, right? Another consideration is that we enjoy entertaining. We don’t normally listen to music at high volumes, but when there’s a party, we want to be able to crank up the volume so the unicorn-headed dancers will have a good time (our friends have unicorn masks. lots of them). For that reason, we’ve decided to replace the original 3-way speaker setup with a more powerful 2-way setup plus a powered subwoofer. This new setup should allow us to receive our first noise complaints (note – that’s why you invite your neighbors to all of your parties). On top of all of that, we also want to hook the console up to a set of speakers on the front porch and a set of speakers in the back yard, with switches to choose which speakers will be on at any given time. That way, we can listen to a classical record in the dining room at one time, then switch to the new Kenny Loggins record while we sit on the porch, and finally play the soundtrack to Saturday Night Fever while we enjoy a fire in the backyard. I really hope you caught my sarcasm in the last paragraph. While all of those plans sound good and well, if you have any experience hooking up home audio, you know that we’ll be needing a pretty powerful receiver to get all of this coordinated. 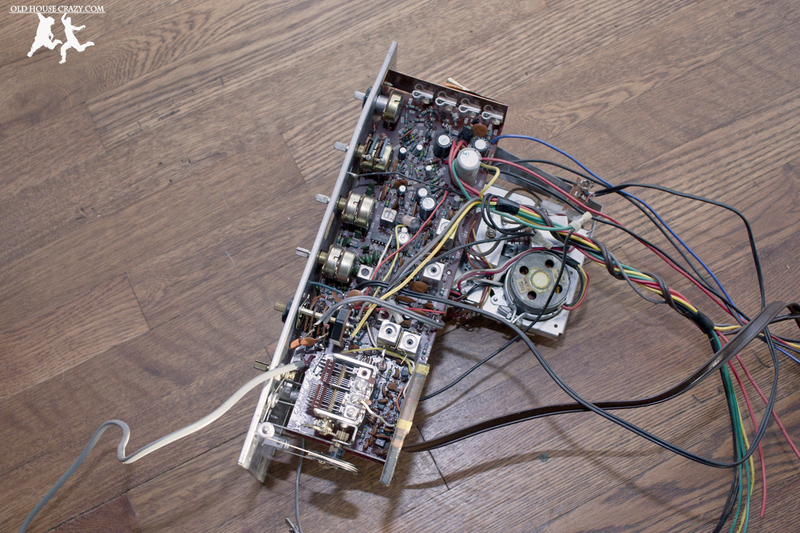 It’ll need to be 8-channel and provide about 100 watts per channel. If you do a search for 8-channel receivers, you’ll see that they are crazy expensive. However, we need to find one that isn’t made for home theater applications. We don’t need it to run 3D movies, blue-ray discs, or any of that other fancy business. It doesn’t even need to run surround sound. 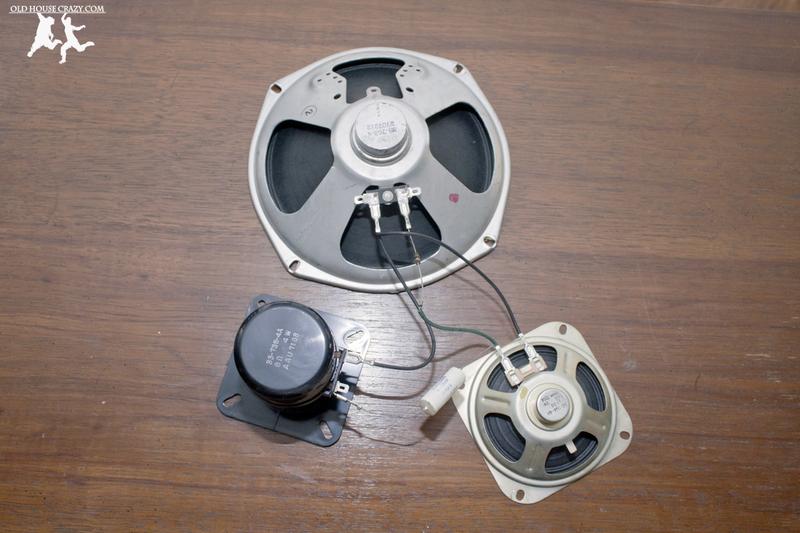 We just need stereo audio, so I’m hoping I can find one much more cheaply. 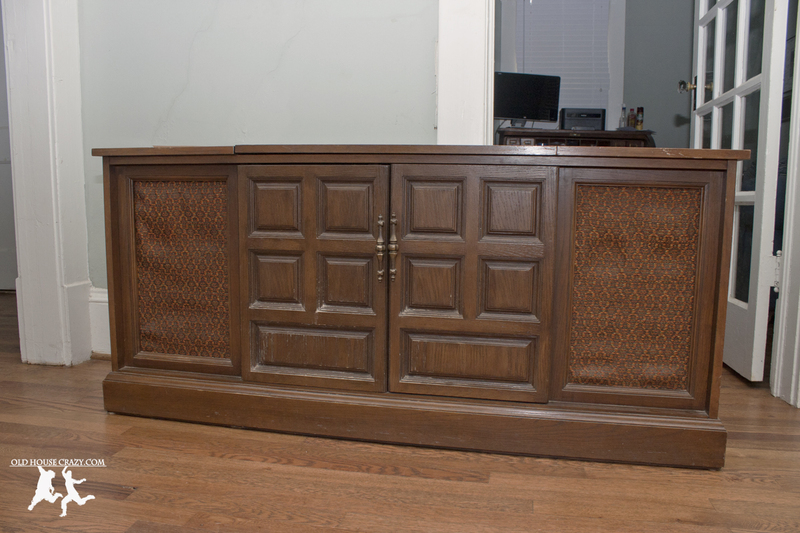 This entry was posted in Better than store bought, DIY, Don't Hire a Professional, Electronics, Front Porch, Furniture, Home Built, Old Hardware, Restoration, Tools and Techniques and tagged DIY, diy project, electronics, Furniture, old radio, radio, stereo, stereo console. Bookmark the permalink.